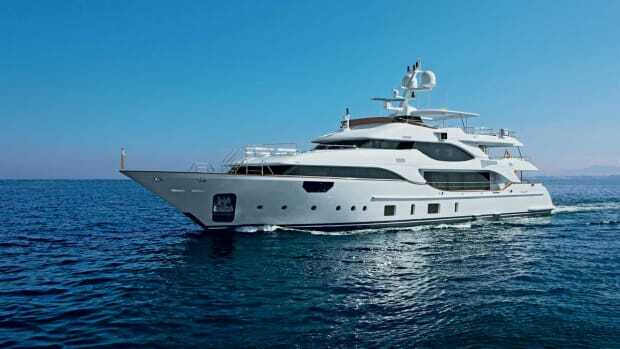 THE 180-FOOT (54.8-METER) BENETTI OCEAN PARADISE first appeared in the public eye at the Genoa Charter Yacht Show in May 2013 and caused quite a stir among charter brokers. 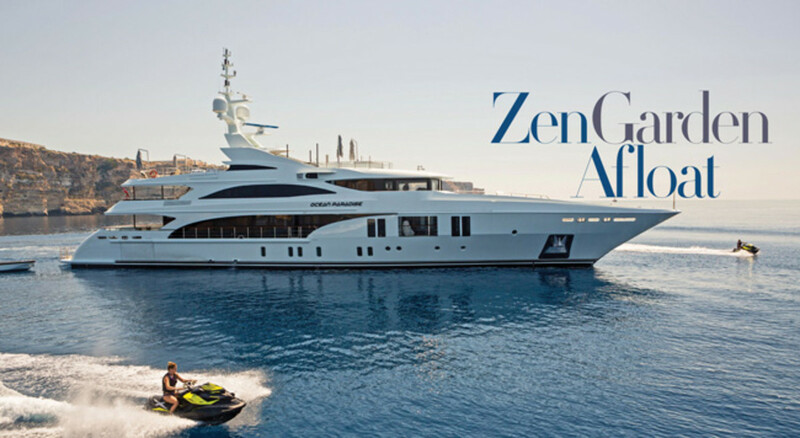 They all seemed to have one-word descriptions for this new yacht: fresh, refreshing, Zen-like, tranquil, innovative, gorgeous. Then Ocean Paradise disappeared from view, whisked back to the shipyard in Livorno to appear once again to yet more acclaim at September’s yacht show in Monaco. Lee designed the interior of Ocean Paradise not only for his own use, but, being a hotelier, he decided that the yacht must also earn her keep as a charter yacht. We met with him on the aft deck while the yacht was berthed stern-to in Monaco. He was frank and open about his yachting adventures. The same level of dedication to the environment is an ethos that runs through the design of Ocean Paradise. 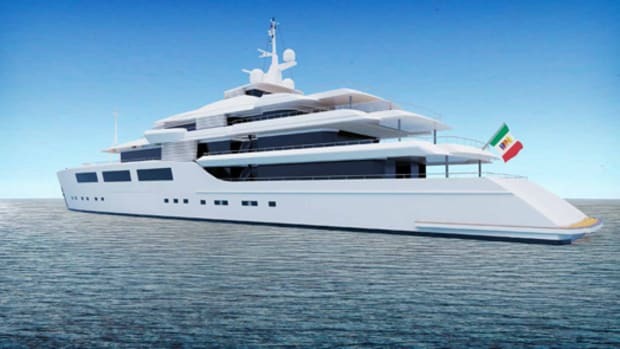 It is all-encompassing, covering passenger amenities such as LED lighting and an innovative refrigeration and air-conditioning system that effectively recycles air, all the way through to the silicone-based antifouling paint used on the hull, which is effective, but less harmful to marine life. 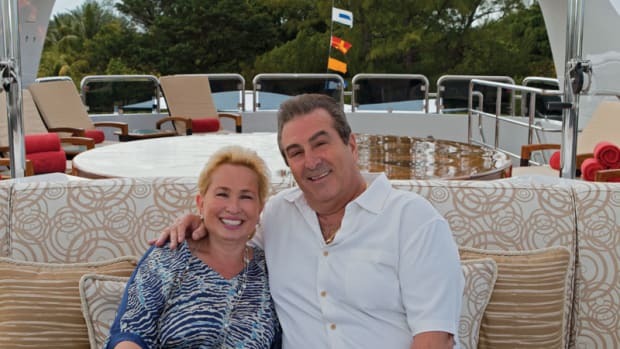 It was this attention to detail and concern for the way yachts potentially pollute that won Lee and his yacht a special Green Plus award from the classification company RINA. His Serene Highness Prince Albert II of Monaco presented the award to Lee and officials from the Benetti shipyard during the Monaco show. 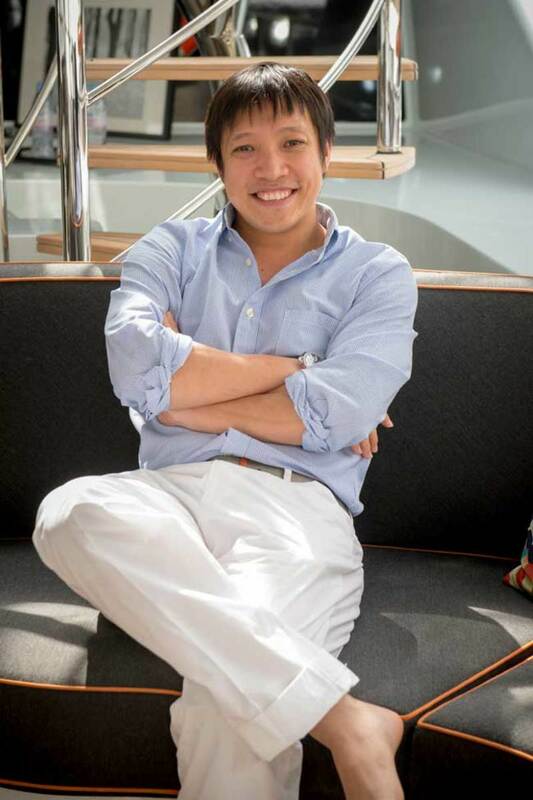 “Getting that recognition is important to me,” says Lee. 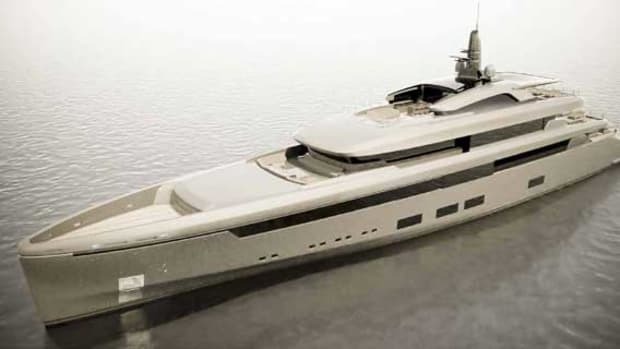 “It helps justify the hard work we put into everything we did to create this special yacht. 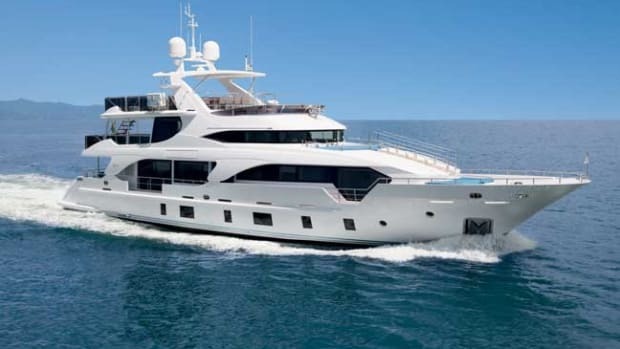 My family has had many boats over the years including our last, the Benetti Ocean Dream. From each of them we have learned. 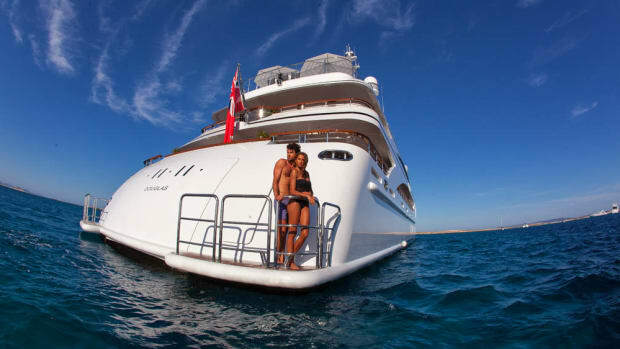 On this yacht, you will see there is a dayhead on each and every deck. We have created a huge upper deck with a massive amount of outdoor leisure space. We had fun designing the carbon-fiber bar around the Jacuzzi, and have you seen the gym we installed up there? 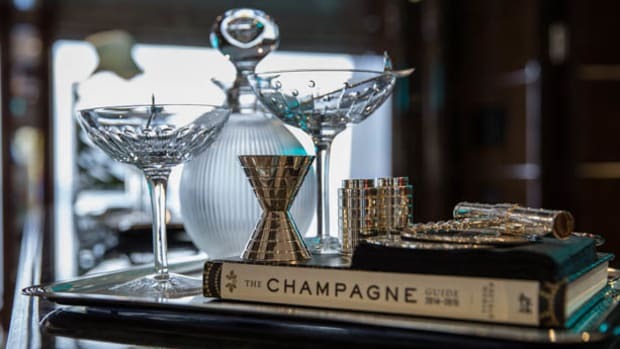 The yacht has four guest cabins, each located on the lower deck, with access from a central hall connected to the main-deck foyer. Each has its own spacious head and views of the sea through ample portholes. The owner’s suite is located on the forward portion of the main deck and spans the full beam. With its expansive head and a side balcony that can be used while under way, it is a most delightful and restful area that is flooded with light. Light is of primary importance throughout the entire vessel. Natural light filters through abundant openings in the yacht’s structure, including through a crystal skylight set into the uppermost deck. LEDs are employed throughout and feature temperature-controlled coloring to match that of the natural light. Below the waterline, Ocean Paradise sticks to the classic configuration. 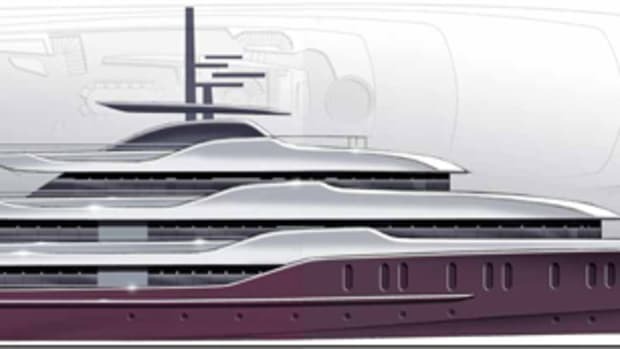 Her steel displacement hull, with its displacement of 651 tons, is powered by twin 2,367-horsepower Caterpillar 3512C diesels. 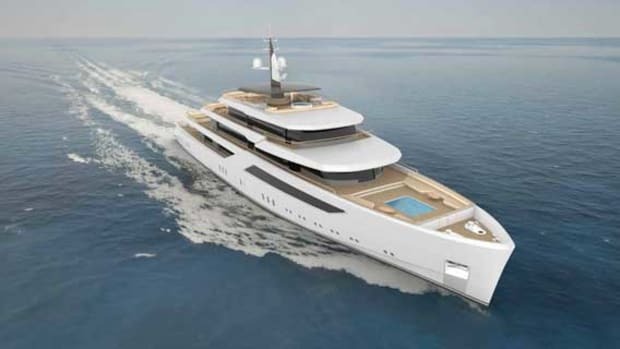 The configuration gives her a cruising range of 4,000 nautical miles at 12 knots, a top speed of 17 knots and a fast cruising speed of 15.5 knots that uses 85 percent of the available propulsion power.